Inky Fairy Designs: Cosmo Cricket Sketch 2 different Ways! When I saw THIS post on the Cosmo Cricket blog I immediately grabbed all the CC collections I had and fanned them out on mydesk - then I picked two that were inspiring me and made these two cards. You all know how much I love sketch challenges & to have a chance to be published in CARDS mag is a HUGE bonus so I'm keeping my fingers crossed! 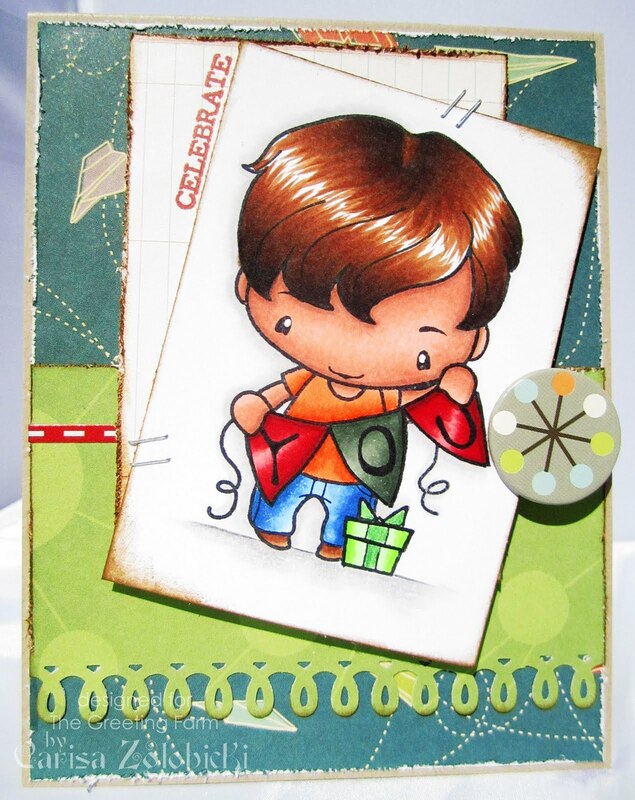 I absolutely adore this new Birthday Ian stamp available now at The Greeting Farm. That banner he's holding is perfect for ANYTHING! For the celebrate I used a sentiment from the new clear stamp set Bannerific also by The Greeting Farm. The paper is Cosmo Cricket The Boyfriend Collection. I just LOVE this collection - what am I saying I love ALL Cosmo Cricket Collections!!! ;) I'm also coming back to participate in a favorite challenge blog of mine, Make it Colourful and tried grounding my image. I used prisma colored pencils to create a shadow below Ian but the pic didn't quite capture it well. This is entirely done with Cosmo Cricket Circa 1934 (another fav). 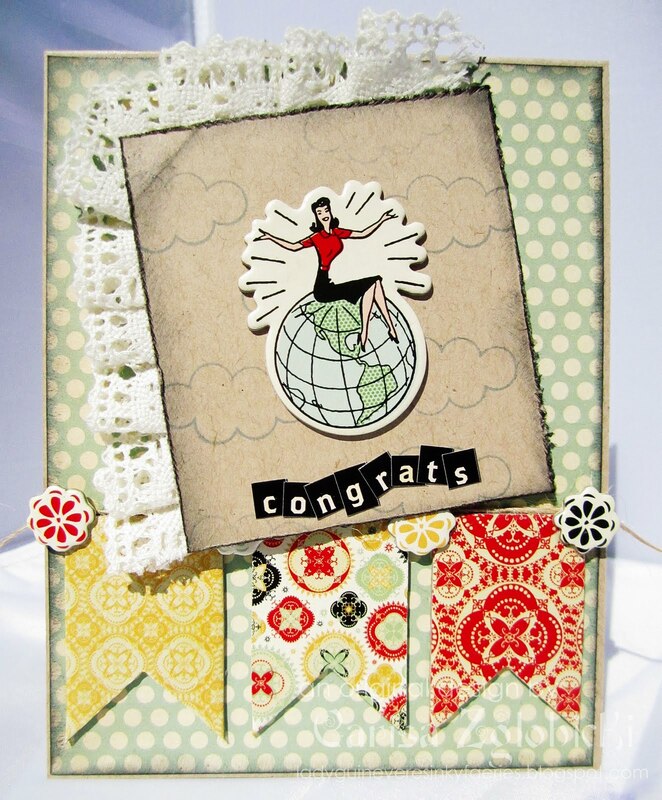 I love these chipboard banners and the image just seemed to say accomplishment so I created a congrats card using Cosmo Cricket Tiny Type which is another product I have just a bit of an obsessive collection of! haha This card I took more liberty with the sketch although I believe you can still see the foundation of the sketch itself. Carisa these are both wonderful! The first is playful and the second won me over with the Circa papers...aren't they fabulous!!! I love both of these--great coloring job too!